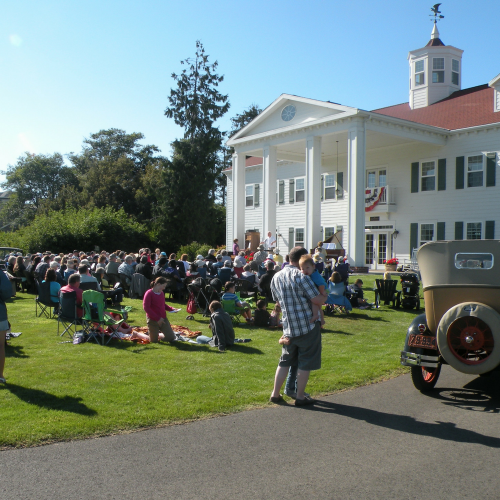 Come and enjoy an old-fashioned hymn sing at the sixth annual “Hymn Sing by the Sea” to be held at 2 PM on Saturday, July 27, 2019 on the front lawn of George Washington Inn and Estate, an oceanfront B&B inn, and Washington Lavender Farm. 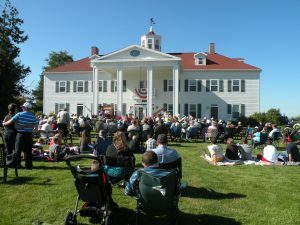 This annual hymn sing is part of the inn’s focus on traditional sacred and gospel music through an annual series of sacred and classical concerts and events, which have become known as the Washington Music Festival. Baritone Jim Giger will lead the song service with piano and organ accompaniment. Some of last year’s favorites included: Praise the Savior, O For a Thousand Tongues to Sing, Fairest Lord Jesus, Lead Me to Calvary, Glory to His Name, Heaven Came Down and Glory Filled My Soul, I Will Sing of My Redeemer, Victory in Jesus, Blessed Assurance, All That Thrills My Soul is Jesus. There are many more old favorites that you remember and will love to sing again. Don’t forget your lawn chair, unless you just want to bring a blanket to spread out on the inn’s front lawn. Rain or shine. Please register here with the number of people coming in your group so we can plan appropriately.